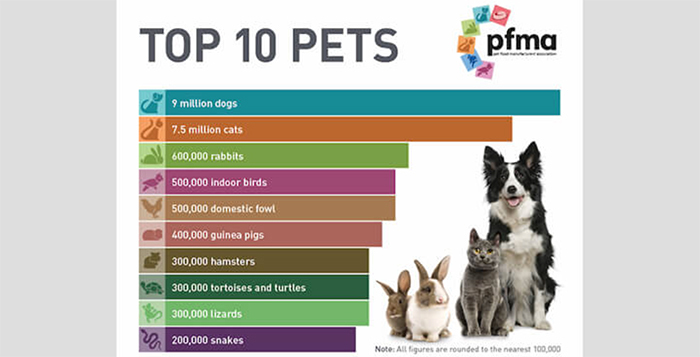 PFMA has released its 2019 research, based on interviews with 8,000 households, which found that 12 million households (40% of UK households) have a pet . Dog ownership is highest among 45-54 year olds at 30% and falls to 23% among Generation Z and 22% for Millennials. Cat ownership is also highest among 45-54 year olds at 21%, with the younger groups 15% and 17% respectively. Michael Bellingham, chief executive of PFMA and trustee of National Pet Month, said: “A recent government survey found 77% of people sometimes feel lonely and sadly those aged 16 to 34 were more affected than those aged over 50. Tanya Michelsen, associate director and head of brand research at YouthSight, a youth agency that specialises in understanding Gen Z and Millennials, added: “Today, we are all looking for different ways to relieve stress and make our lives happier and more relaxing. In fact, 62% of 16-24 years olds tell us they regularly do as little as possible in their free time.